My Madeleine skirt is finished. 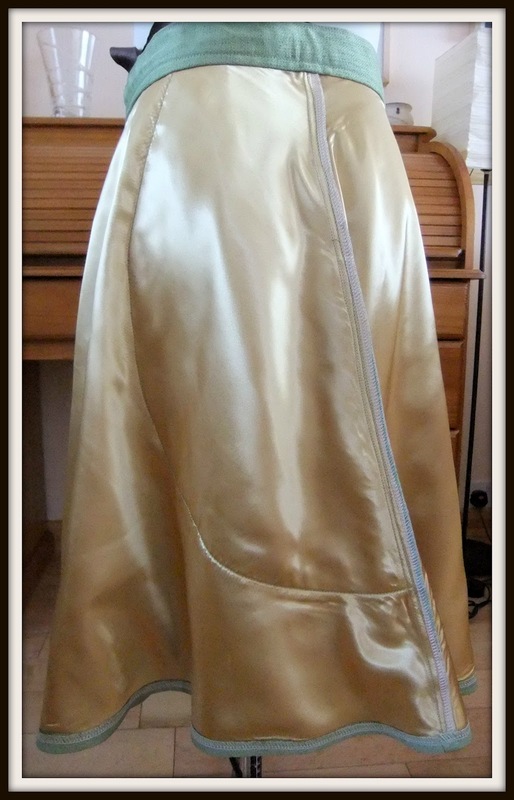 I did take some photos of me wearing it, but they were rubbish, so here it is on the dress form. 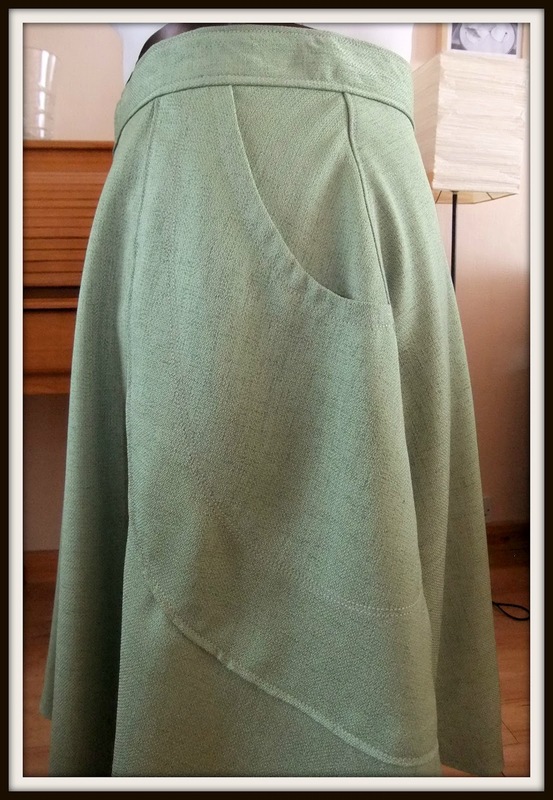 It took a lot longer that I expected, not because of the pattern, but because of the fabric. The pattern is lovely, the instructions are easy to follow, and the photos are clear. The fabric, on the other hand, was a nightmare! I bought it earlier this year in the sale in The Spinning Wheel in Belfast. I have no idea what type of fabric it is, but it was £2.99 a metre. It looks lovely, the colour is gorgeous (it's a little bit brighter than in the photos), it's heavy, but very drapey. I cut it out, and realised that it was quite a loose weave so was a bit see-through. 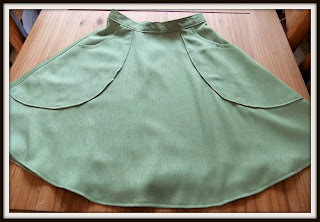 It's a bit like linen with the loose weave and also the weight, but it's definately a man-made fabric; and where linen is stiff, this is, well, not! I decided to underline it to give it a bit more structure, and it seemed to work. The above photo shows the underlining basted in. You can also see the weave of the fabric, and how it frays like nobody's business! The lining fabric from The Paragon on Donegall Pass in Belfast, and I think it was £1.90 a metre. It's really lovely, the colour is more golden than in the photo. 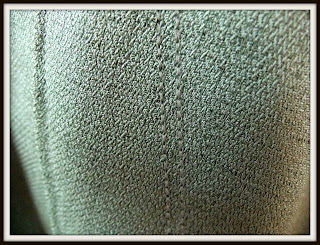 There is a lot of topstitching on this, in fact, all the stitching that you can see except the stitching at the zip is topstitched. I hadn't tried topstitching before, and it's explained here on Sewaholic's blog. It turned out really well, but my choice of thread was too good, because it's not easy to see! 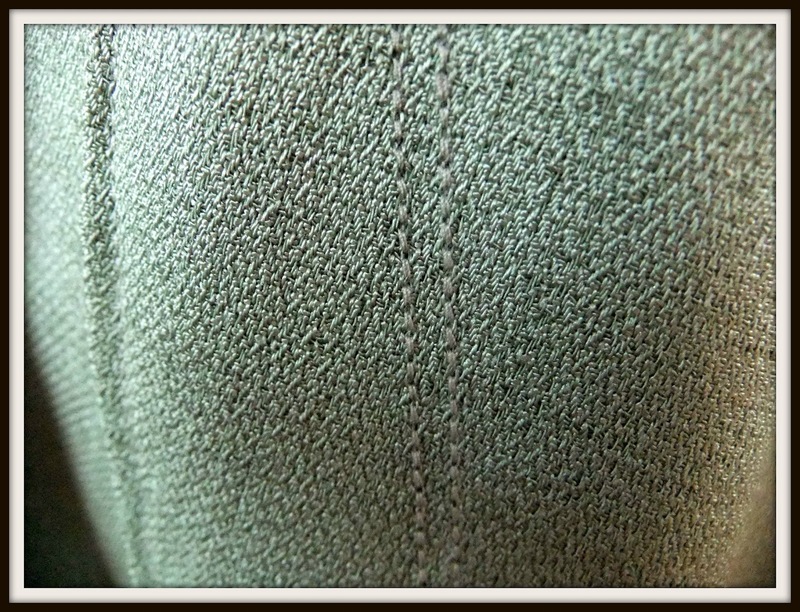 In the photo below there are two rows of topstitching in the middle running from top to bottom. It also uses up loads of thread, I had to wind three bobbins! 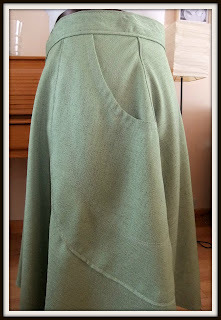 This fabric was also a bit slippery to work with, and I think it stretched a bit too when I was cutting it out. 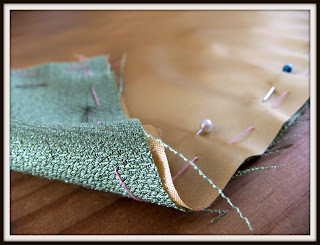 The zip is a lapped zip, which I hadn't done before, but the instructions for it were really easy. I think I should have folded over the fabric that goes over the zip a bit more though. It looks very strange on the left side in the photo below, but that's because the hem marker was caught underneath. I overlocked everything within an inch of it's life, fraying fabric and fraying lining are not a good combination! It says on the pattern that it is for an average height of 5' 6" to 5' 9". 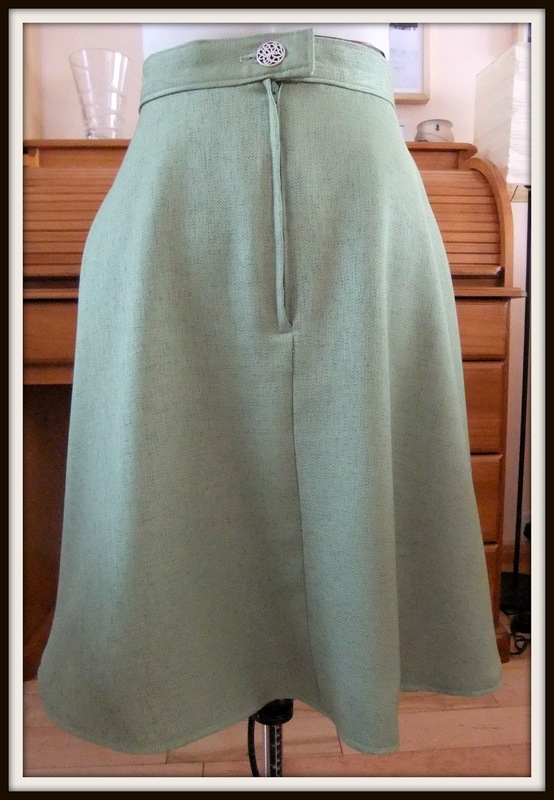 Since I am nowhere even near 5' 6", I had to shorten the pattern by 5.5 inches. 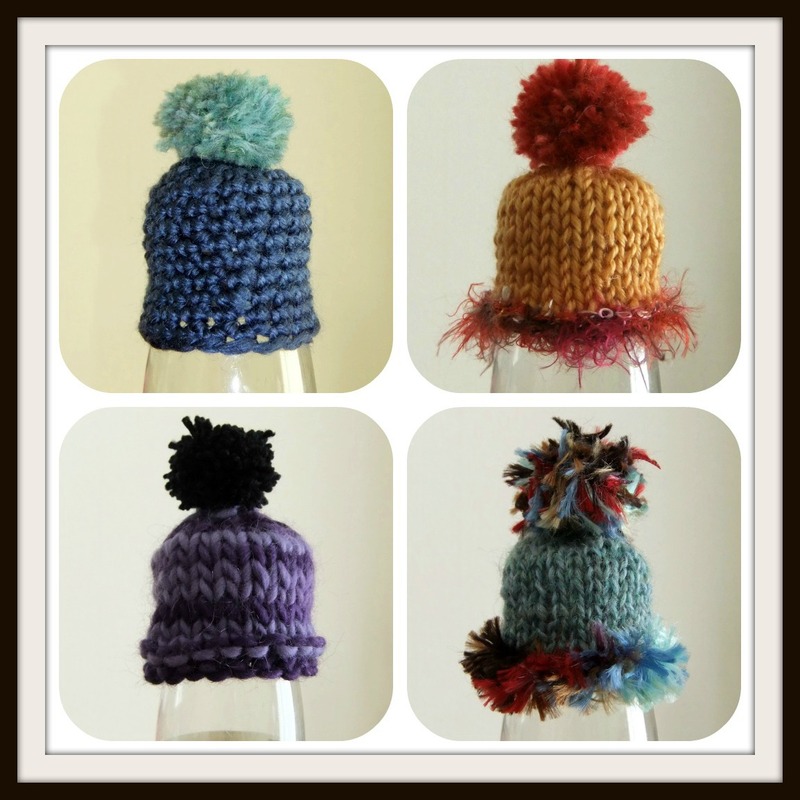 And finally, here are my next four Smoothie Hats. Learn from my mistakes - do not, I repeat, do not, attempt to make a pom-pom from eyelash yarn. Down that road lies madness, (and fluff everywhere). Wow it is fabulous, you are so talented!! That looks great, and you would never know it caused you so much trouble. I bet you feel great in it. Oh, I bet it feels lovely on with that pretty underlining. 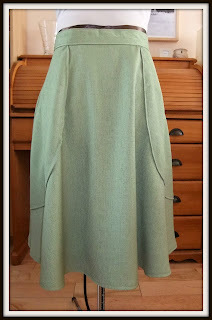 I really like to underline skirts just for the extra weight it gives. This is such a pretty color.